Welcome to our Spring Sale 2019! How would you like to restyle your home at truly affordable prices? How would you like to achieve more without spending more? The answer can be found at Fabric Gallery and Interiors. We have the widest choice of fabrics and wallpapers in Yorkshire and a professional and friendly team in our Dunnington showroom. 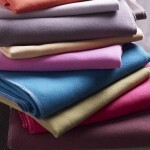 Choosing fabrics for your home this Autumn couldn’t be easier. We have nearly 50 brands and more than 10000 fabrics on display and with expert design assistance on hand you can’t go wrong. What’s more ALL fabrics are included in the Sale. All our sale fabrics are genuine fully guaranteed production material – no seconds, remnants or off-cuts here. You’ll save up to 35%. We’ll aim to beat any bona fide quote; get our best prices here. The quickest way to transform a room is with a few rolls of wallpaper. With our sale pricing you don’t need to skimp on quality or quantity. Now is the time to transform your whole room rather than just a feature wall. 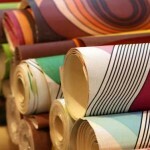 All wallpaper & wallcoverings are in our sale. Save up to 35%. If you already know what fabric or wallpaper you want then the fastest way is to get an online quote; get our best prices here. During our sale you’ll see lighting, trims, tiebacks, clocks, artwork and much more marked down by up to 30%, ready for you to take home. The only way to get these bargains is to visit us in Dunnington. All of our bespoke chairs, sofas & footstools are reduced by 15% during the SALE. 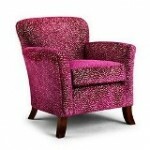 Save up to 20% on Designers Guild furniture – just ask for a quote. Chairs on display will have special “Take me Home Today” prices – amazing sale discounts only available when you visit our showroom. 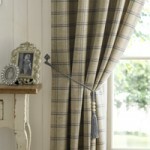 You’ll get sale prices on fabric if you order curtains during our Sale. 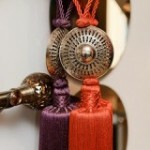 But don’t delay – please allow enough time to choose fabrics and to get your windows measured and quotes prepared. To take advantage of these genuine sale savings please don’t leave your decision to the last minute. The end of our sales are manic, and you really deserve proper time and attention, so it’s worth visiting our Dunnington Showroom early. If you already know what fabric or wallpaper you want then the fastest way is to get an online quote; get our best prices here. P.S. PLEASE NOTE THAT WE ARE VERY BUSY DURING OUR SALE. We will do our very best to answer every phone call but you might get an answer-phone if the shop is busy. Please leave a message – we promise we will return your call. Please note that Sale Offers cannot be combined with any other offers. Sale discounts do not apply to making up, FR treatment and other surcharges, fitting, shipping, trimmings. Sale orders need to be paid in full when order is placed.